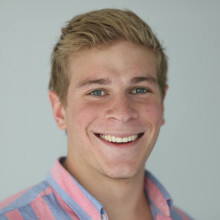 Alex Rawitz joined Chainalysis in 2018 and works with cryptocurrency businesses around the world. He joined the cryptocurrency movement several years ago, drawn in by the energy and the passion to reshape every corner of the tech world. Prior to joining Chainalysis, Rawitz was an early employee at Servato, an IoT technology company based in New Orleans. Prior to working at Servato, he managed accelerator programs at Idea Village, working with dozens of entrepreneurs across a broad array of industries. Rawitz holds a BA in history from Cornell University.